Phew... It was a busy week before this and I'm kinda out of balance in between my working and personal lifestyle. I had several sleepless nights due to unconscious stress and I had to admit that was a very bad experience. I'm quite relieved now because one of my important projects has ended smoothly and I'm back to blogging~ Tons of reviews are piling up and I can't wait to share all of them with you! I attended a blogger event hosted by AUPRES and MIVVA Box last year and was given two products namely the Stay Luxurious Lip Glaze and Dimensioned Face Creator. I will be reviewing the Dimensioned Face Creator some time but lets take a look at Stay Luxurious Lip Glaze. Stay Luxurious Lip Glaze is a mixture of lipstick and lip gloss. 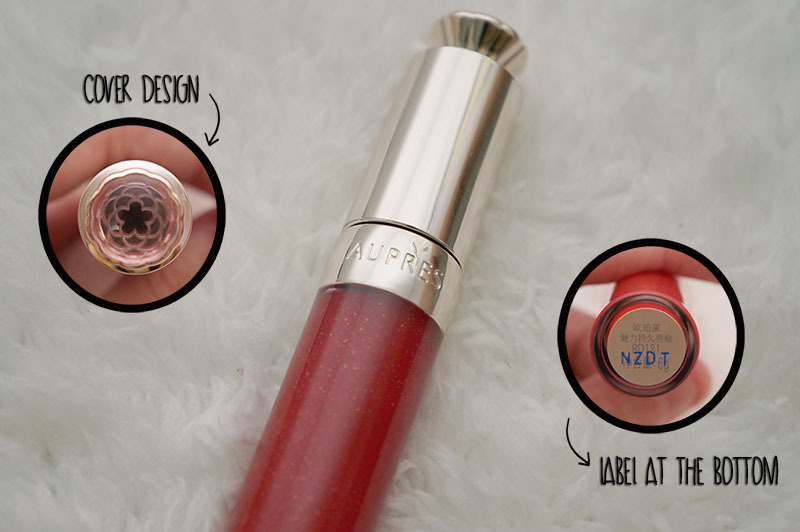 It is packaged in a tube that is similar to a lip gloss and has a shiny silver as cover. The top of the cover has a unique flowery design, which gives a very girlish feel to the lip glaze. 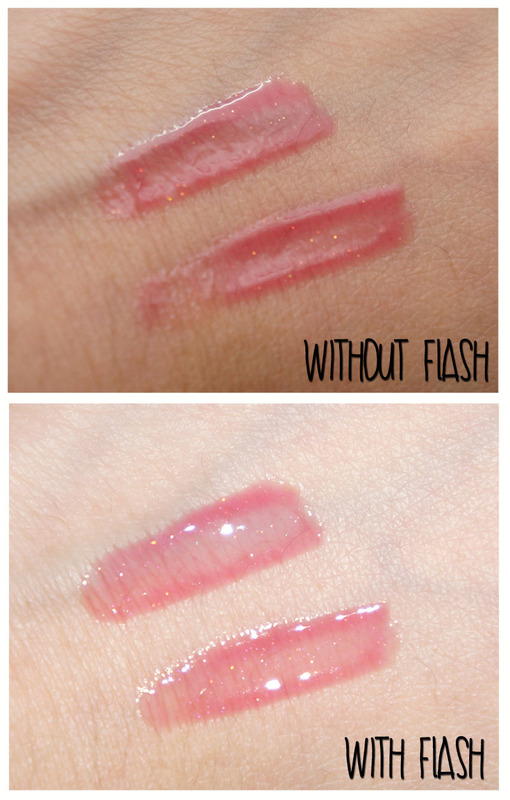 The transparent container allows one to identify the shades easily and the glitter lip glaze shows up clearly as well. Instead of an usual plastic applicator or doe foor applciators, this lip glaze has a flat elliptical double-sided brush design. One side of the applicator is a smooth flat surface while the other side is with fine hair. The smooth flat surface is use to smoothen the lip glaze on lips while the fine hair side is used to smear the lip glaze all over the lips. I prefer to use the smooth flat surface to apply the lip glaze because it evens out the lip glaze all over my lips. 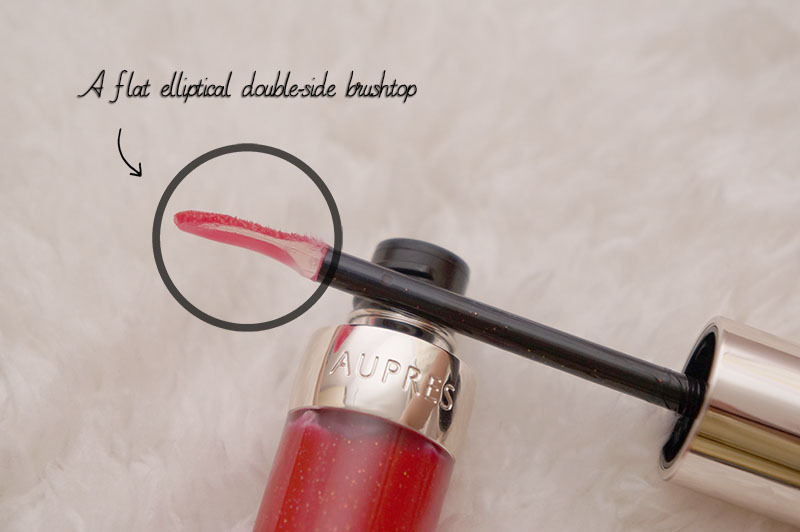 AUPRES Stay Luxurious Lip Glaze comes in 12 shades, the one I'm having here is RD181. It's not giving out a bold red color on the lips but it is visible enough to see the lips are in red. The glossiness is superb so remember to apply an adequate amount of lip glaze to avoid looking like a pair of oily sausage lips. The lips are glossy and shiny when the lip glaze is all over the lips. It gives a 3D translucent texture with the gloss on the lips. The lip glaze feels light on the lips and moisturises the lips. The good part of this lip glaze is that the stickiness of this lip glaze is lesser than the usual lip gloss. 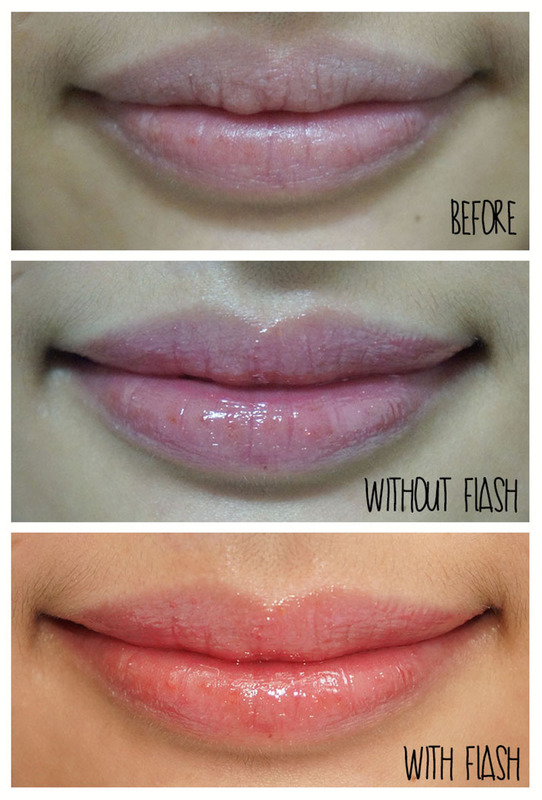 However, you will still need a lip makeup remover to remove the renaming lip glaze. I like the light-weighted lip glaze on the lips however, it is not long lasting as I thought. The glossiness is superb and I like the watery texture of the lip glaze. 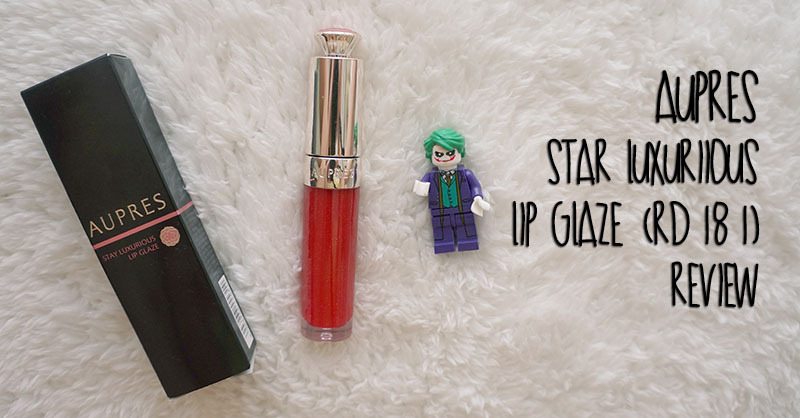 It is less sticky and easy to swipe the lip glaze all over the lips. 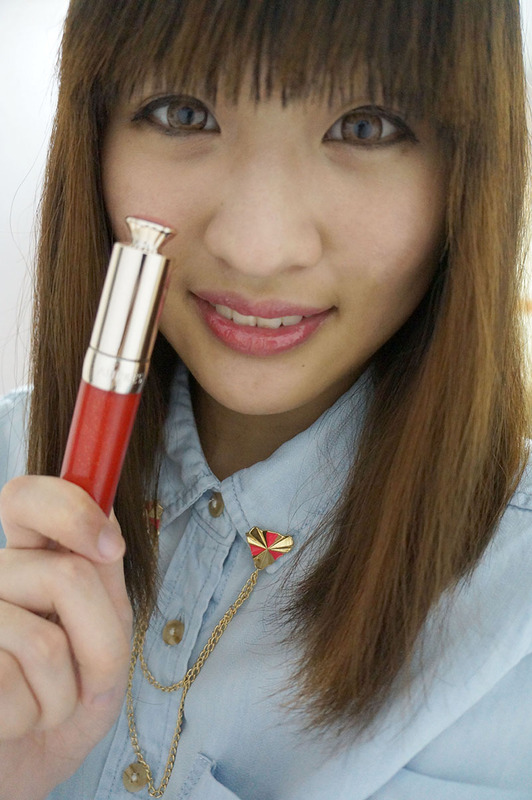 The shade is quite opaque and does not leave a bold red color on the lips. 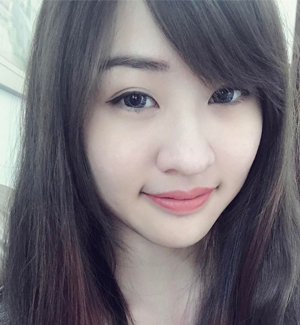 The shade is suitable for my everyday makeup look and natural makeup look. Singing off with a selfie of mine. As you can see from the image below, the color is not very intense but the glossiness is superb~ I would suggest you to put on lipstick before putting on the lip glaze for colored lips. One last tips: One swipe is more than enough to get this kind of glossiness.